The UFC released Jon Fitch yesterday and the belief was that he could likely land in Bellator and speculation started that he could end up fighting in Bellator. 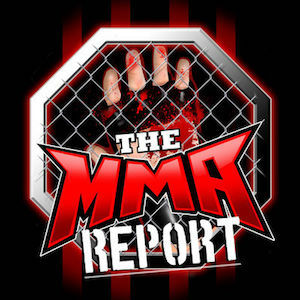 However, Bellator MMA Chairman and CEO Bjorn Rebney told TheMMAReport.com that they will not be signing him. “I have a lot of respect for Jon [Fitch] and I have a lot of respect for anyone who has to courage to do what these guys do and the athletic ability to do what they do but we are not going to be signing Jon Fitch,” Rebney said prior to Bellator 90. 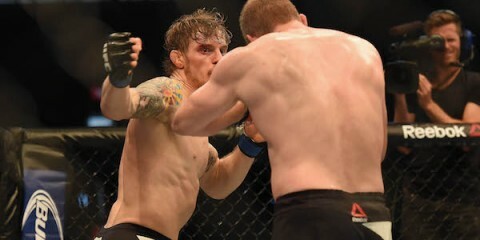 Fitch is considered one of the top welterweight fighters in the world and had a UFC record of 14-3-1. However, he has gone 1-2-1 in his last four fights which led to the UFC deciding to part ways with him. 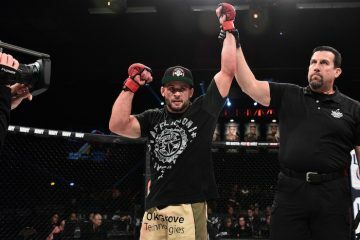 Bellator’s welterweight division is one of the deepest divisions currently in Bellator and Rebney wants to continue the development of the fighters that are currently under contract with his organization. When it comes to free agents that may come available, it’s a case by case basis in deciding whether Bellator will attempt to sign the fighter. According to Rebney, the philosophy of Bellator is to build fighters in the organization and allow them to become a top fighters in the world. I understand Bjorn’s decision. The last thing he needs right now, when his company is getting a little momentum, is a “UFC guy” to come in and tear through your division like it was full of little girls. /\ I think you mean, he doesn’t want him laying on his top welter weights. No, he means that Fitch would stomp the crap out of ANY welterweight in Bellator and prove that the best fighters are from the UFC. By stomp do you mean hump? Saying John Fitch is going to tear threw anyone is just a retarded statement. We get it you like boring fights I mean your a Fitch fan. It is not like the guy didn’t see this coming. MMA ,ufc and the others are all more then just fighting.You need to entertain as well as win or people are not going to come to your fights. I think its great that Fitch is well liked but that doesn’t make up for all the fights I sat threw where all he really did was lay and pray. The sad thing about this is the guy has skill he just refused to use it. When most of the people talking about your fights are saying things like I fell asleep or Joe Rogen has to keep reminding people how not all ufc fans realize how much skill it takes to fight in a way that gets you the win and helps people in the crowd who suffer from insomnia. You should know that you need to make a change. I like Fitch.I really do I think he is a great guy but I have no desire to sit threw another one of his fights. John, your thinking is a little retarded (I’m not saying YOU are). John Fitch’s fights are boring because he’s going against top level guys, who can survive against him. The guys in Bellator WOULDN’T be able to survive against him. Fitch’s fights in Bellator would be over much more quickly. Did you see the Eric Silva fight the way he dominated, and if you think Eric Silva is a rookie wait and see his next few fights. i guarantee all will be k.o. in 1st round by Eric Silva. I simply could not go away your site prior to suggesting that I actually loved the standard info a person supply to your guests? Is going to be again frequently to be able to investigate cross-check new posts.